1 b&w; photograph of 12 young men. 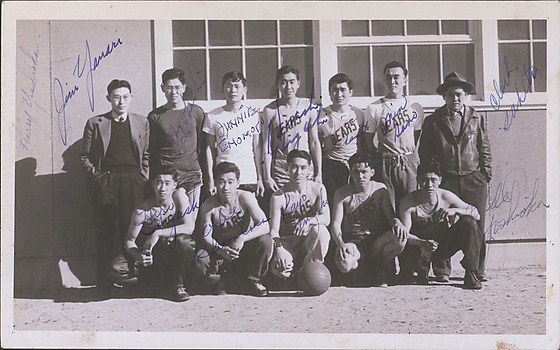 Some wearing basketball uniforms with name Bears written on the jersey. 2 rows: 7 in back, 5 kneeling down in front. Basketball in front. Image is signed by the players.